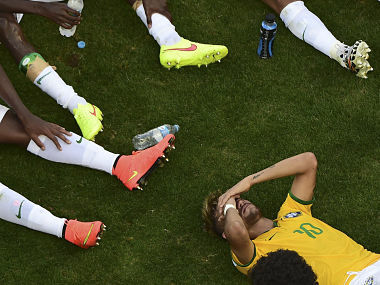 Explaining his decision to award a penalty for Fred's dramatic flop, he added: "If you look at how it happened, the forward was looking to shoot in one move. 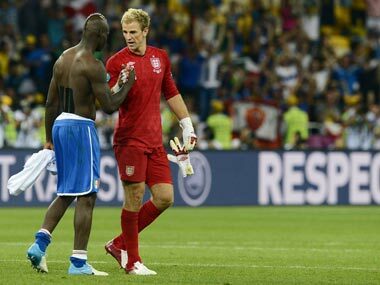 The defender put his hands on him. That was a mistake. 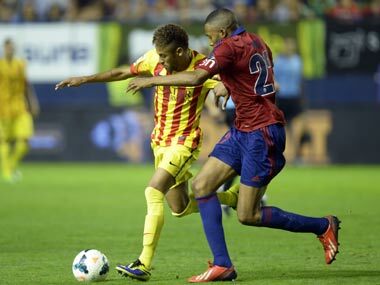 "From MRI images we discovered Neymar's brain activity to be less than 10 percent of an amateur player," researcher Eiichi Naito told AFP on Friday. 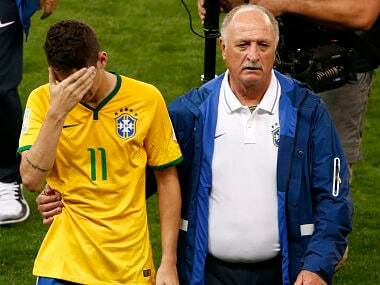 Asked why Brazil failed Neymar said there were simply things that could not be explained. 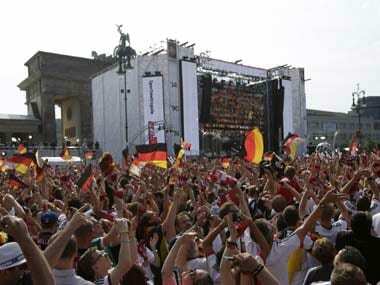 From the airport, the team set off for downtown Berlin in a bus painted with the years of Germany's World Cup victories: The previous occasions were in 1954, 1974 and 1990. 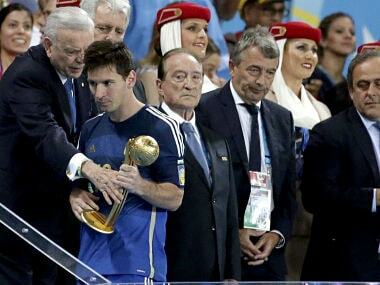 Was Lionel Messi the best player at the World Cup? 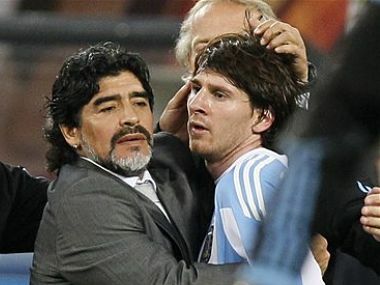 It is a question that has been asked by many but now Diego Maradona has decided to weigh in on the debate. Argentina captain Lionel Messi won FIFA's "Golden Ball" award as the best player of the World Cup after leading his team to Sunday's final and Colombia's James Rodriguez finished as the tournament's top scorer with six goals. Over the course of World Cup 2014, we will be keeping an ear out for what people say – from players and coaches to legends and fans. Brazil's football confederation (CBF) will not renew national coach Luiz Felipe Scolari's contract, local media reported early Monday, just hours after Germany defeated Argentina to win the 2014 World Cup. 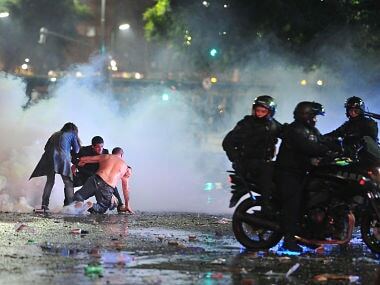 Argentines reacted with tears, cheers and violence after the dream of a third World Cup title slipped through their fingers Sunday, as clashes between hooligans and police ended a massive street party. 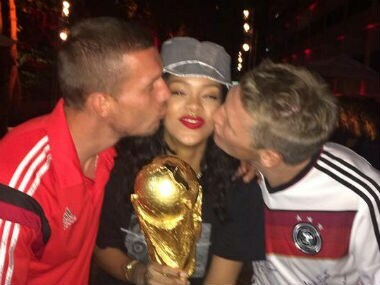 Your World Cup celebrations are going to look rather tame when see how Rihanna celebrated Germany's win: with the actual German team.